Why Do Hedge Funds Love Pfizer $PFE? Japan is not alone in undergoing a “lost decade.” Investors who bought shares of large cap pharmaceutical companies ten years ago have seen an overall price decline or flat performance from 2001 to 2011. However, shifting to the focus on the year ahead, there is a company in a strong position to reverse that trend and outperform its peers: Pfizer. For a company not exactly well-known as a “pipeline story,” Pfizer (NYSE:PFE) has a number of new products launching in 2012 that may serve as catalysts for the stock price. Additionally, the Company is in the process of selling its Animal Health and Nutrition businesses, a restructuring move that will bring additional acquisition and investment flexibility. 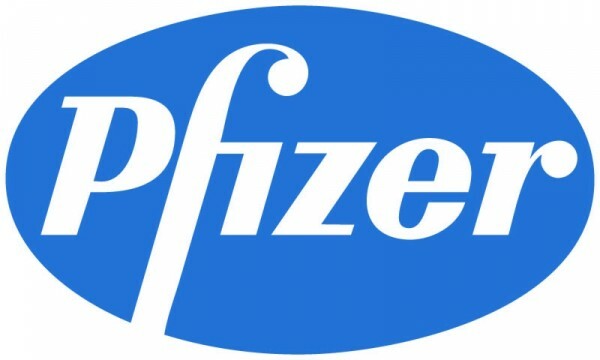 Management has reiterated a commitment to increasing the dividend, and with a healthy 11% free cash flow yield, Pfizer certainly has the cash flows to support the dividend. And finally, valuation is compelling from a comparable company standpoint. It is also the most popular pharma stock among hedge funds (see the most popular drug manufacturers). Since Ian Read became CEO over a year ago, there has been an intense focus on taking actions that will create shareholder value through increasing productivity of the innovative core and ensuring proper capital allocation that aligns with shareholder interests. The result has been a flurry of activity both in terms of product launches and approvals. Pfizer has taken steps to maximize the value of its inline portfolio, including key assets like Lyrica, Enbrel, Prevnar and Celebrex and advanced the regulatory filing for Eliquis, tofacitinib and the next wave of compounds in the pipeline. Pfizer has a number of near-term pipeline opportunities ahead in 2012. Historically, the market values pipeline execution as a significant driver for stock price growth. Between now and the end of 2012, at least five new products are set to launch, more than any other large cap pharma name. Future products aside, the company has demonstrated an exceptional ability to manage the expiration of Lipitor, its blockbuster drug with sales of $12.8 billion in 2008. For Q4 2011, Pfizer reported EPS of $0.50, on better-than-expected revenues due to lower-than-expected generic erosion of Lipitor (lost exclusivity in November 2011) and lower-than-expected operating costs. The Eliquis launch, tofacitinib approval, and bapineuzumab approval are key catalysts. A number of sell-side analysts expect that Eliquis (PDUFA March 28, 2012) will emerge as the best-in-class product for stroke prevention while Pradaxa and Johnson & Johnson’s (NYSE:JNJ) Xarelto sort out safety/labeling issues. Pfizer is in a partnership with Bristol-Myers Squibb (NYSE: BMY) for Eliquis, which addresses the atrial fibrillation market (estimated peak sales for Eliquis across all indications is $10 billion according to Wall Street research). Note that on the evening of March 1, Bristol-Myers Squibb and Pfizer made a joint announcement that Eliquis would be delayed by three months to June 28, 2012. The companies indicated that additional data had been submitted to the FDA, which caused the delay though the content of the data was not disclosed. Provided that there are no material issues with the product and/or the product label, the delay should not significantly impact either party. The focus of Bristol’s pipeline is a Hepatitis C product with anticipated Phase II data in the second half of 2012. Meanwhile, investors interested in Bristol will want to keep an eye on its rheumatoid arthritis product, Orencia, which has been competing with Humira in the market and Yervoy for metastatic melanoma, which was launched in Q2 2011. Tofacitinib has a couple important regulatory events coming up: PDUFA in August for rheumatoid arthritis and Phase III data for psoriasis. In Q3 2012 there will also be clinical data from two Alzheimer’s drugs with peak potential of over $5 billion, one of which, bapineuzumab, Pfizer is co-developing with J&J. Alzheimer’s is an area of unmet medical need for which there are currently no treatment options that can meaningfully alter disease progression. As a result, the payoff for a successful drug for this indication is extremely high. Recently, there has been excitement in the indication since Eli Lilly (NYSE:LLY) was allowed to continue its two Phase III studies for solanezumab and since Baxter (NYSE: BAX) passed a futility analysis and proceeded to announce a second Phase III study. Regarding Prevnar 13, Pfizer’s pneumococcal vaccine, on February 22, the Advisory Committee on Immunization Practices (ACIP) delayed its decision as to whether to endorse Adult use of Prevnar 13. The ACIP decision will come in two steps over the next 18 months, which is still likely to be positive given strong immunogenicity data and expected clinical effect (H1 2013 expected release of CAPITA study). Also, Pfizer left its 2012 outlook unchanged in spite of ACIP’s delayed decision process. Geno Germano, President and General Manager of the Specialty Care and Oncology Division, has made it clear that there is a commercial plan in place and that Pfizer expects to communicate with physicians and providers about the use of Prevnar. Uptake will simply be slower without a formal ACIP recommendation. A strong competitor in terms of pipeline optionality will be Roche. Roche’s pipeline is more mature than Pfizer’s but still remains to be fully appreciated by the markets. Over the next few months, data for T-DM1 for breast cancer, Actemra for rheumatoid arthritis, and US approval for pertuzumab will be announced. Additionally, dalcetrapib, Roche’s atrial cardiovascular (ACV) drug is a potential game-changer in a new class of compounds called CETP Inhibitor—data from a 15,800 patient dal-OUTCOMES study is set to be released later this year. Two parties interested in the Animal Health business are Novartis, which recently made an unsuccessful offer of $16 billion and Bayer. Novartis CEO, Joe Jimenez, has noted his desire to bulk up Novartis’ subscale Animal Health division. Bayer CEO, Marijn Dekkers, has described the division as a “great business,” and has indicated a willingness to give up its A credit rating in the short-term. In 2011, large cap pharma focused on returning significant amounts of cash to shareholders, shunning large acquisitions while increasing dividends and buybacks. That trend will likely hold for 2012. During Q4 2011, Pfizer repurchased more than $2.5 billion of company shares, bringing the 2011 total to $9 billion. The Board of Directors further approved a new $10 billion share repurchase program with the intent to purchase an additional $5 billion in shares during 2012. Read stated that, “this amount does not include any repurchases that could result from actions taken related to our Nutrition and Animal Health business.” Additionally, Pfizer announced a target payout ratio of 40% by 2013. Pfizer is also one of Ken Fisher’s favorite dividend stock picks. Despite the recent increase in share price, Pfizer’s valuation still remains among the lowest in the large cap pharma space (Bristol-Myers Squibb, Eli Lilly, Merck, Abbott, J&J) at 9.5x 2012E earnings versus a comparable universe mean of 12.6x. With a promising pipeline of drugs targeting attractive markets, restructuring plans that will serve to unlock value, a rising dividend, and an undervalued stock price relative to its peers, Pfizer has solid post-patent cliff profile that will drive outperformance in 2012. Any positive data for its pipeline drugs should drive the stock price upwards. Strong fundamentals seem to have been identified by a number of insiders and fund managers as well including KenFisher and Bill Miller. Risks to consider include more severe Lipitor generic erosion, hiccups with regards to FDA approvals, and the lack of materialization of cost synergies from the Wyeth merger.